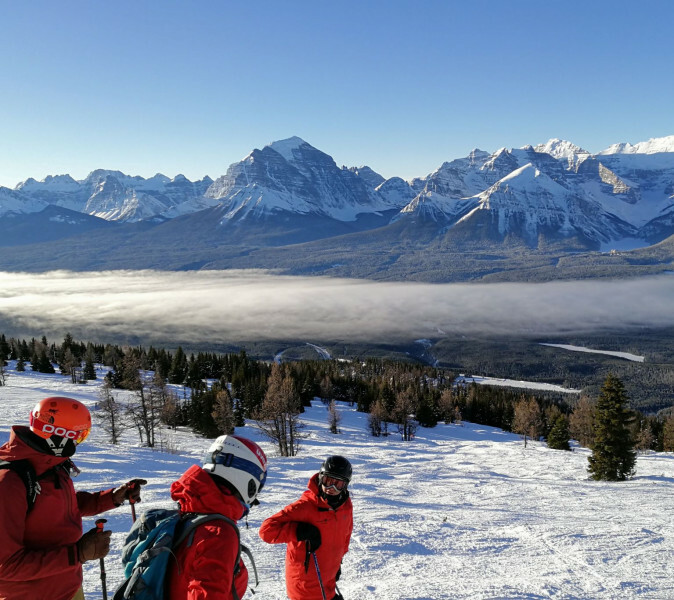 Six days of non stop skiing on the other side of the world: what sounds like every skier's dream, is a summary of our tester Carina's trip to Canada. 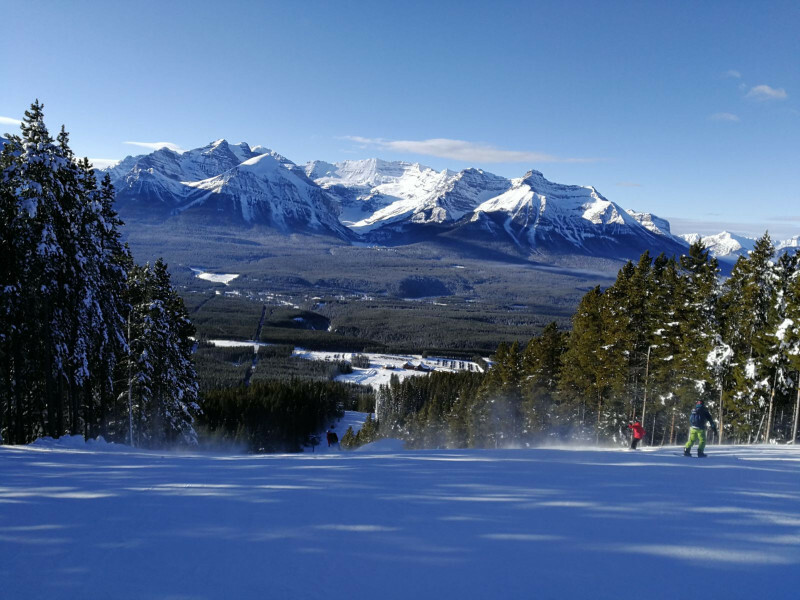 Last winter, she set off for Snow-Online, along with Canadas West Reisen's winners, to make lots of exciting new discoveries on and off the slopes. Heavily loaded, I set out for Frankfurt, Germany's largest airport, on Monday morning. Having checked in online, the only thing left for me to do was handing my suitcase and my ski equipment over at the Air Canada counter. 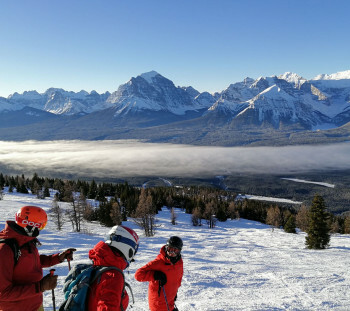 For easy and carefree ski trips, Air Canada lets passengers take their ski or snowboard equipment free of charge between November and April. Even an additional check-in bag for ski boots is allowed – a blessing when you're trying to meet the baggage allowance. Landed in Calgary, my group and I were welcomed by our Stumöck guides. René from Switzerland and Anton from Tyrol were going to take us on our six day ski trip through Canada's West, starting at Banff, 1.5 hours away from Calgary. The lively town located amongst beautiful nature is full of restaurants and shops. 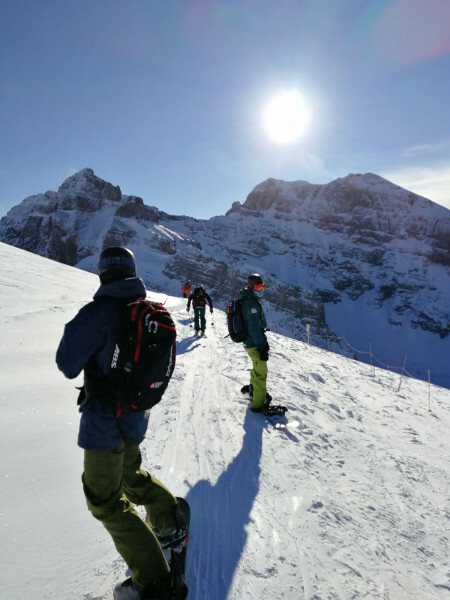 This is where we set up our base for our skiing adventures in Lake Louise and Sunshine Village. 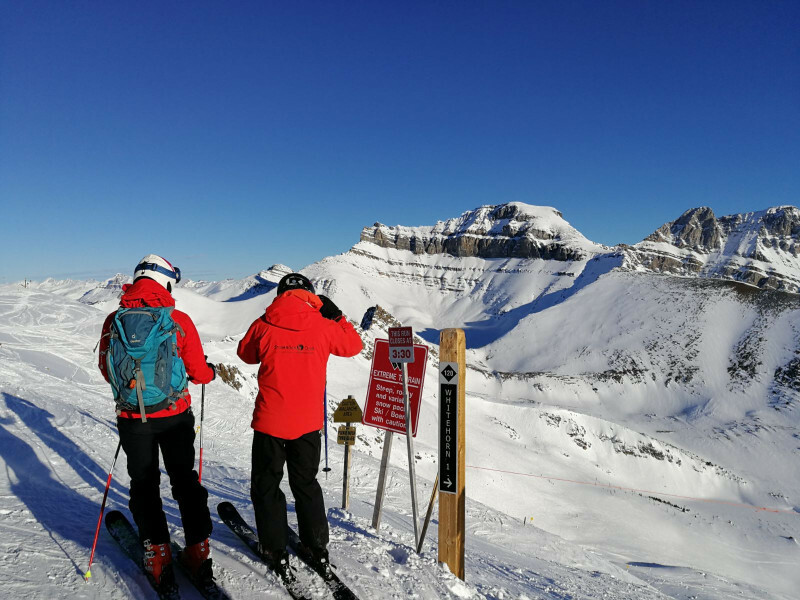 © Skigebiete-Test / Carina Wich Perfect weather on our first day at Lake Louise. Day 1 started with a big highlight: skiing at Lake Louise, famous venue of the FIS Alpine Ski World Cup. The sun shining brightly, we ventured onto Canadian snow for the first time. After a warm-up at the World Cup run, we went on to the legendary Black Bowls. Were it moguls or tree runs, the guides always found suitable runs for our respective skill level. The only thing missing that day was Champagne Powder. Hence, we had enough time to use the moguls to prepare for the powder runs that were yet to come. 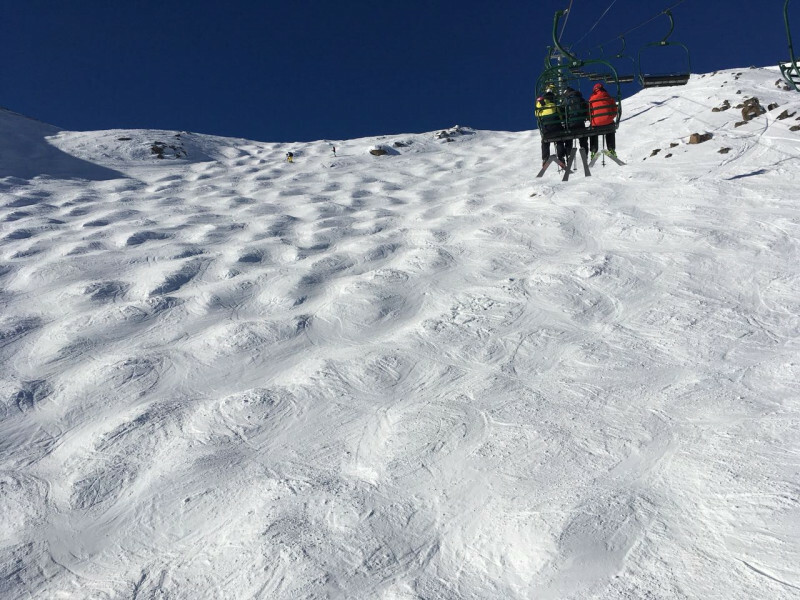 Some of us took their very first steps on ungroomed slopes that day – no problem, as the guides were always there to help. 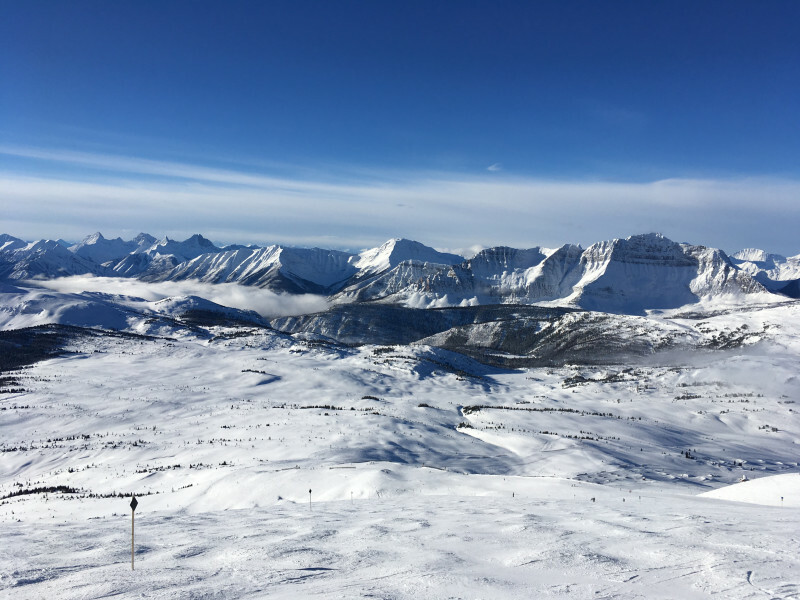 Another day without fresh snow brought us a stunning mountain panorama at Sunshine Village instead. 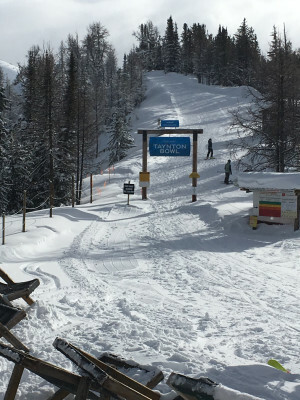 The ski resort with its numerous powder runs, snow parks, and various runs for all skill levels makes any skier's heart beat faster. It is home to Canada's only heatable chair lift, thus setting new standards for service. Mount Standish and Lookout Mountain offer sheer endless options for suitable runs. 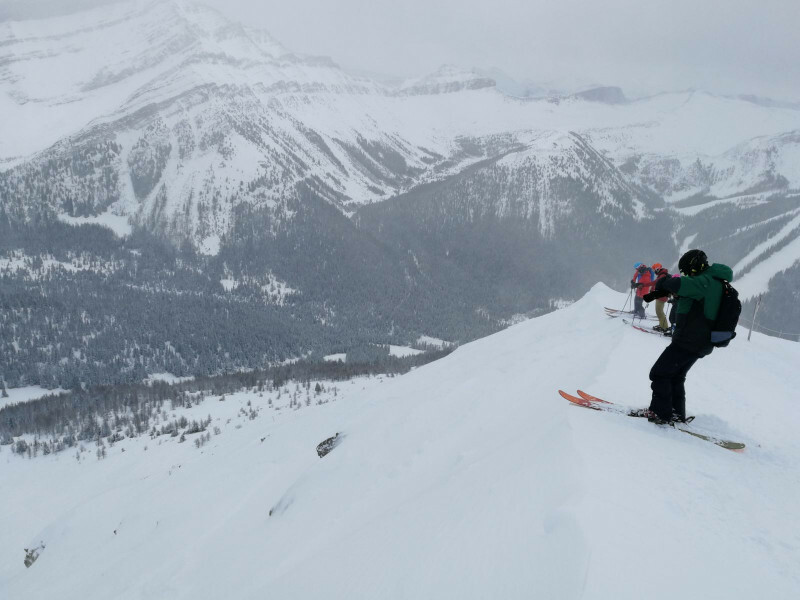 Usually the separated „Delirium Dive“ area allows for exciting backcountry skiing. Unfortunately, it was closed for lack of fresh snow that day, so instead we enjoyed the woods around Goat's Eve Espress Quad. © Skigebiete-Test / Carina Wich Whene there's fresh snow, Taynton Bowl is one of Panorama's most popular bowls. Later that day, we made our way through Banff National Park to Panorama Mountain Resort near Invermere. The ski resort is adjacent to the world's largest heliskiing area, and has a lot to offer off-piste as well. Canada's biggest hot pools, for example, turned out to be a great post-slope meeting point for our group. 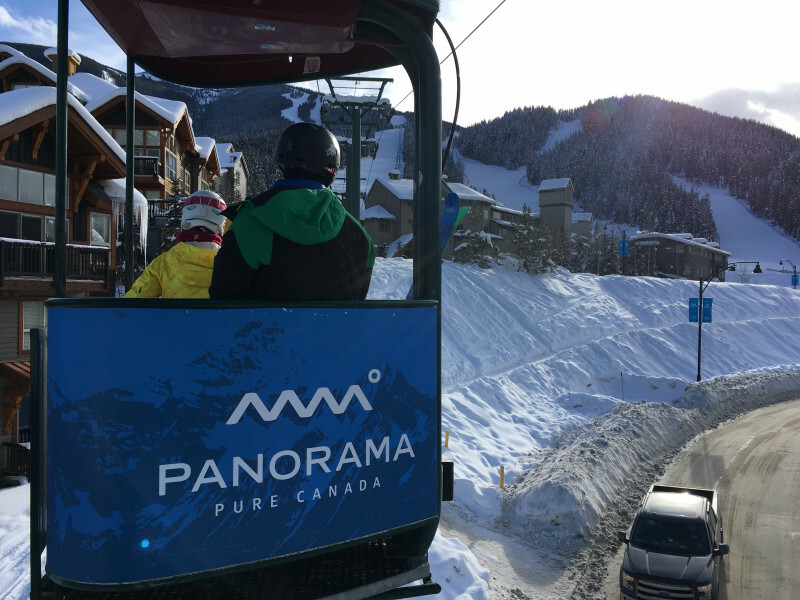 Hop out of bed and right onto the slopes – that's what makes ski-in ski-out resort Panorama so special. No need for shuttle services to get to the lifts; insead you start right into the resort. 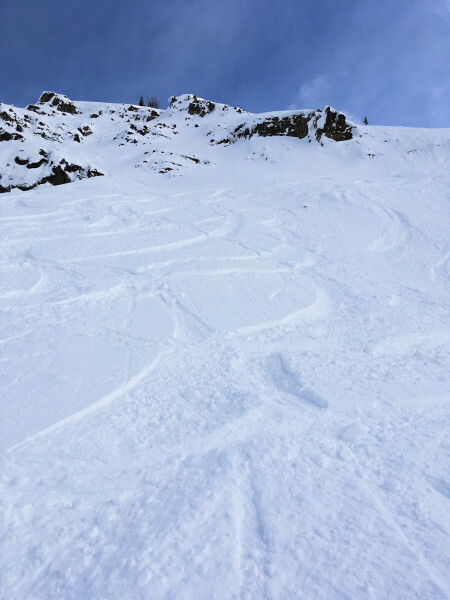 After a bit of a warm-up, we received a tip: Taynton Bowl had been approved by Ski Patrol. Now we had to be quick. According to our guide, once approved, masses of backcountry enthusiasts come to the Bowl to be the first to try out the untouched powder. In Canada, you are allowed to ski everywhere on the resort premises, even through lift lanes and woods, unless a path is explicitly barred. Our favourite run at Panorama was Monster Trail. With rocks, tree runs, and plains, it has everything a skier's heart desires. There is hardly a better way to prepare for a heliskiing trip, than by skiing Taynton Bowl. Hence, some of us set out for some heliskiing on our penultimate day. RK Heliskiing, the local specialist for daytime heliskiing in Panorama, offers tours for beginners. © Skigebiete-Test / Carina Wich Canada's stunning landscape amazed us time and time again. After three amazing days of skiing in Panorama, our Stumböck Guides took us back to Calgary airport: it was time to say goodbye. Goodbye to a breathtaking country, full of unique landscapes and friendly people. Once on the plane, we started reminiscing on our trip. It had been perfect especially for those with no experience in backcountry skiing. 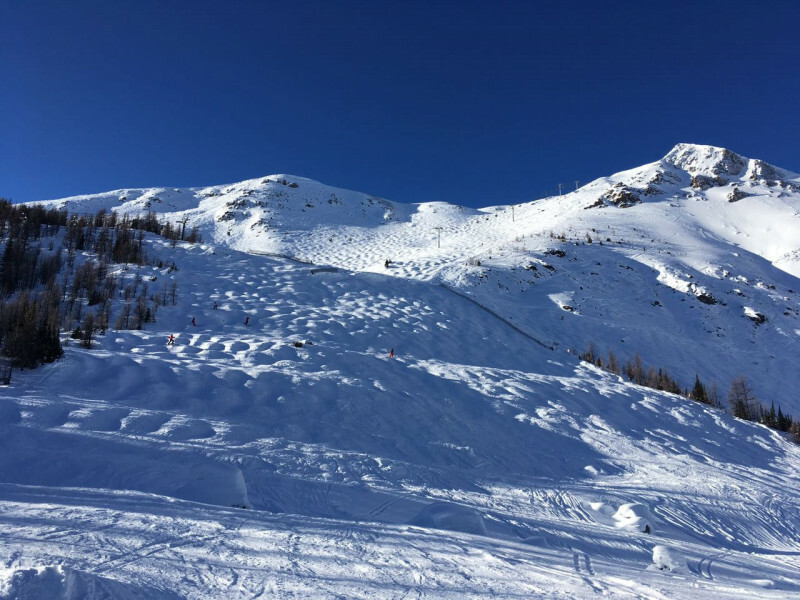 The ski resorts around Lake Louis are ideal for first steps towards heliskiing and to enhance your skills. But even for experts, the resorts we had seen are full of opportunities. Altogether we were agreed: none of us are ever going to forget this trip.